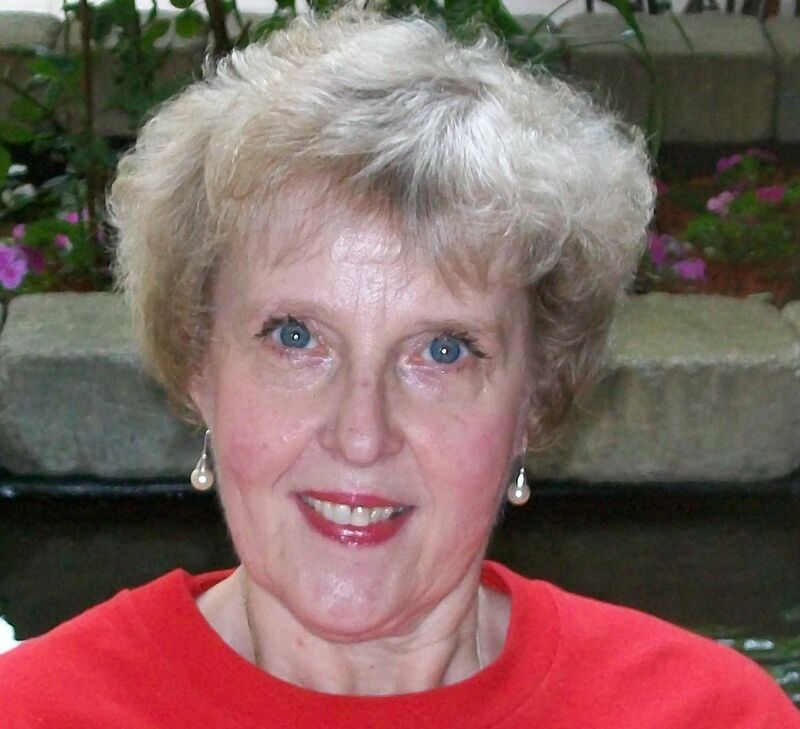 Lynne Swanson is a retired human resources manager, writer and blogger. Born and raised in Pennsylvania, she has been a Canadian citizen for 40 years. Cruzing in Reverse Many Canadians want to cruz out of American citizenship with the same ease Senator Ted Cruz can ditch Canadian citizenship. 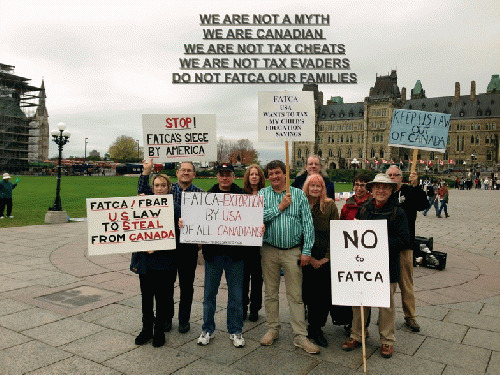 FATCA Faces Tell The Real Story Their faces tell the story. They show the real victims of the Foreign Account Tax Compliance Act (FATCA). 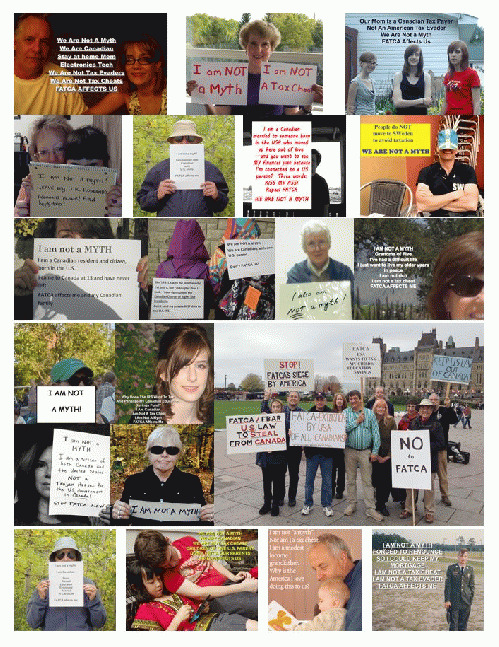 The We Are Not A Myth Portrait Protest shows the world U.S. Treasury's Myth vs. FATCA document released by Robert Stack for what it actually is: A Stack of Lies. FATCA Attack Around The Globe U.S. Congress, Treasury, and IRS are attacking the personal integrity and financial lives of millions of Americans living honest, productive lives around the globe. FATCA (Foreign Account Tax Compliance Act)is ensnaring these people and their non-American families instead of netting real tax cheats in U.S. hiding money in offshore accounts. 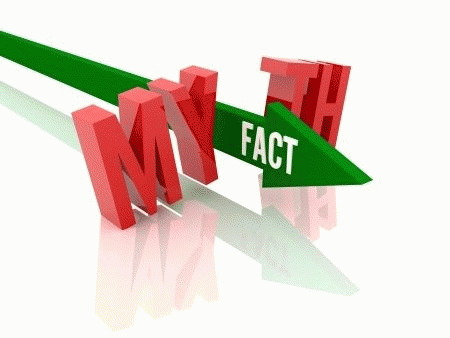 FATCA: We Are Not Myths US Treasury arrogantly dismisses as "myths" the nightmare FATCA has created for Americans living around the world. These are not myths. They are real.